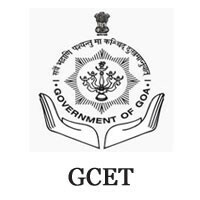 Availability: The GCET/ GOA Common Entrance Test 2019 Application Form will be available from 25th March 2019 till 30th March 2019 on the DTE official website. Qualification: Candidates must confirm that whether they satisfy the qualification criteria of GCET/ GOA Common Entrance Test 2019 before filling the application form. Mode: There is no provision to fill the form through online mode. The application form of GCET 2019 can only be filled in offline mode only i.e candidates have to take a print out of an application form and fill the necessary details. Along with the form required document have to be attached. Payment: There is no option for online fee payment. The payment has to be done through demand draft only with the validity of at least 3 months from the date of issue. Acknowledgment: After filling the GCET 2019 application form the students are advised to keep two copies of the full application form for further use like document verification, online seat allotment, etc. Availability - Candidates who are eligible to appear for the GCET 2019 examination can download the application form from the DTE official website from 25th March 2019 to 30th March 2019 . Filling up Details - After downloading the form take a print out of the form in A4 size format and fill the required details carefully like academic qualification, personal details etc. Validity: The details provided by the candidate should be correct and valid and match the certificates provided by the candidate. Otherwise the form will be rejected in future. Payment: The fee payment has to be done through demand draft only of HDFC bank. Submit: Candidates have to submit the application form in person at Ravindra Bhavan, Margao for specific exam centres (Navelim, Ponda, Vasco, Verna, Farmagudi, Cuncolim, Curchorem and Dharmandora) and at DTE, Porvorim for specified exam centres (Porvorim, Panaji, Cujra, Sanquelim, Mapusa, Bicholim and Assagao) from 25th March 2019 to 30th March 2019. Mode: The payment must be done through the requested draft in the name of "Chief of Technical Education" at Panaji – Goa, on any Scheduled Bank. The legitimacy of DD: The legitimacy of the Demand Draft is no less than 3 months from the date of issue. Cost: Candidates have to pay INR 2000 as an Application Form Fee. Extra expense: Those candidates who are submitting the application form after the specified date have to pay an additional fee of INR 1500. Note: After the last date of submitting the GCET Application Form 2019 with the late fee, no form will be further be accepted. GCET Application Form submission is considered successful if it is done in person. Candidates are required to visit the centre and personally submit the GCET Application along with the supporting documents. GCET applications sent through post or via somebody else will be rejected. The candidate must also be aware that incomplete applications, applications containing wrong information and damaged applications will also be rejected. The Admit Card will be obtained after successful submission of the GCET Application Form. There are no other means to receive the Admit Card. If candidates require any assistance at any stage of GCET Application filling procedure, they may contact the conducting authorities in one of the following means and seek necessary help and guidance. Address: Government Of Goa Directorate Of Technical Education, Goa State DTE Building, Alto-porvorim, Bardez, Goa, Pin 403521. What is the relevance of two forms A and B?